NEET MDS Application Form 2019 – National Board of Examinations (NBE) released the NEET MDS 2019 application form on October 16, 2018. The last date for NEET MDS registration is November 6, 2018. Candidates willing to pursue Masters of Dental Surgery (MDS) courses must fill the NEET MDS application form 2019 before the stipulated time. The application form can be filled in 5 steps which include: NEET MDS online registration, filling of the application form and uploading of images, choosing an exam city, payment of application fee and the printout of the confirmation page. It is important to go through the eligibility criteria of NEET MDS 2019 before filling the application form. The relevant documents must be uploaded in the application form as per the specifications mentioned. The application fee can be paid via credit/debit cards or net banking only. No offline NEET MDS application form 2019 will be accepted. 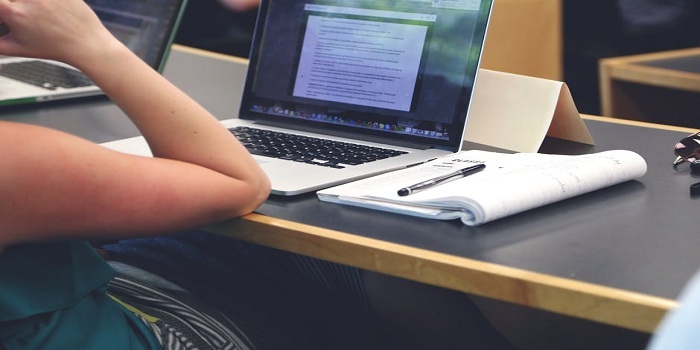 Know how to fill NEET MDS 2019 application form, fees and other details here. LATEST -NEET MDS Merit list for 50% All India Quota seats has been released! Click here to check. NEET MDS was conducted for admission to postgraduate dental courses offered by the government, private and deemed universities across India. NEET MDS 2019 is a single window entrance examination and was conducted on December 14, 2018. 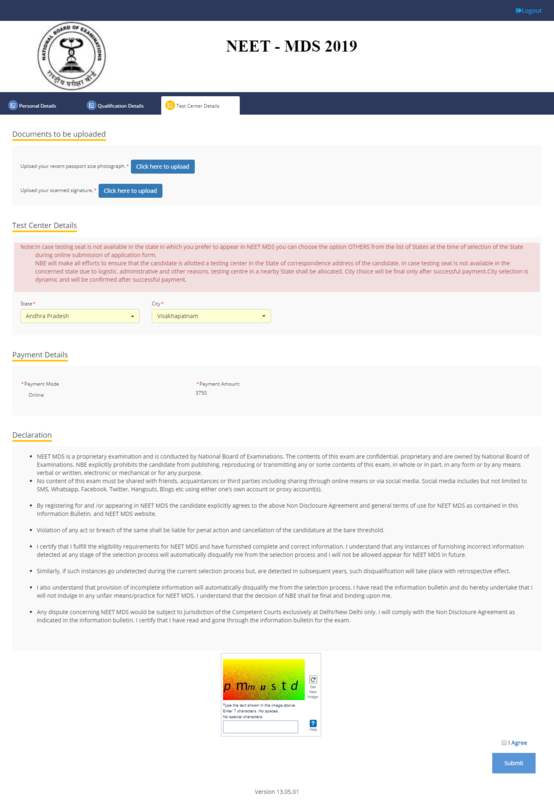 Aspirants can check the important dates related to NEET MDS 2019 Application Form from the table below. Before filling the application form of NEET MDS 2019, aspirants can check the eligibility criteria which must be fulfilled by them. Candidate must have completed the BDS degree or have a provisional BDS pass certificate issued by a recognised dental institute of India. He/she must possess a registration certificate issued by Dental Council of India (DCI) or State Dental Council (SDC) by March 31, 2019. An applicant should have completed a 12 months rotatory internship or likely to complete the same on or before March 31, 2019. 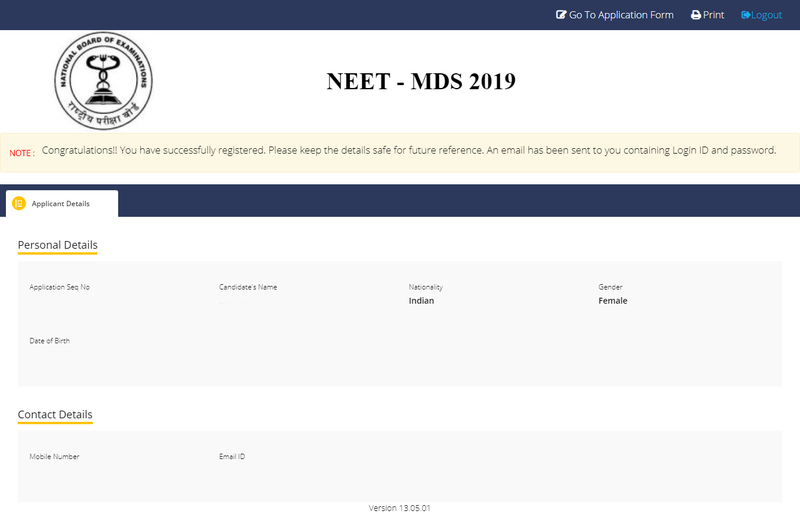 How to fill NEET MDS 2019 Application Form? Read the step-by-step procedure to fill NEET MDS application form 2019 below. Candidates must note that, for successful submission of NEET MDS 2019 application form, it is mandatory to complete all the steps and fill all the details carefully. In order to register for NEET MDS 2019, aspirants need to click on the link provided above on this page. Here, the new aspirants can use the new registration link and registered candidates can log in using their candidate ID and password. Name of Candidate: same as on valid government id proof. Nationality: (Indian/Others). In case of others, enter the Country of Nationality and Other Nationality details. Note: The mobile number and email ID must be valid and unique as the User ID and password will be sent here. 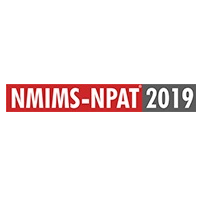 Reciept of NEET MDS Login credentials – After completion of the NEET MDS 2019 registration, candidates will receive their User ID and password to their registered Email Ids and mobile numbers. 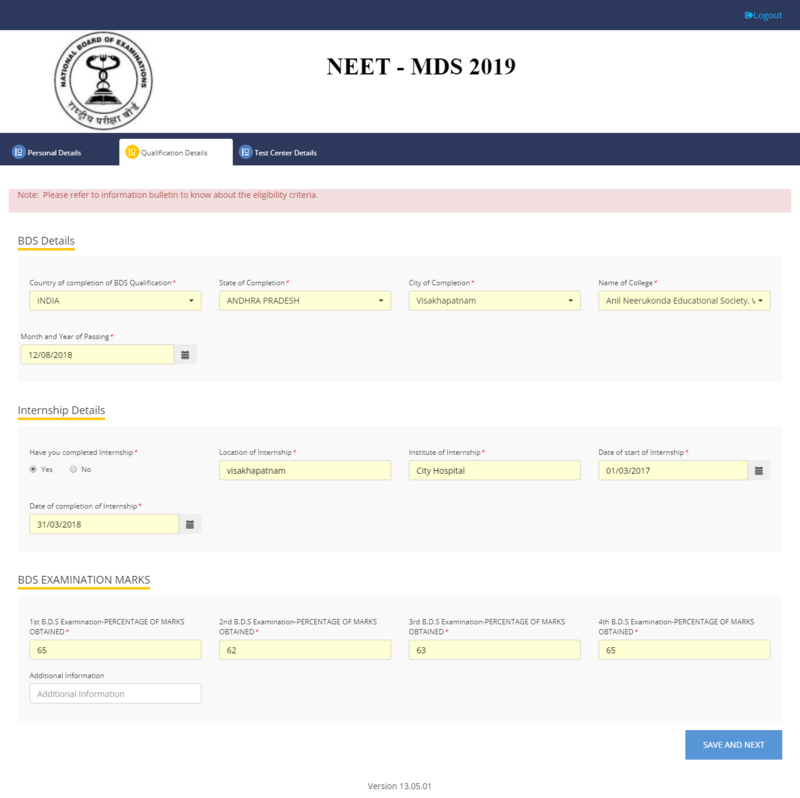 NEET MDS 2019 Login - Using the user ID and password sent by the authorities to the email ID and mobile, candidates must log in. 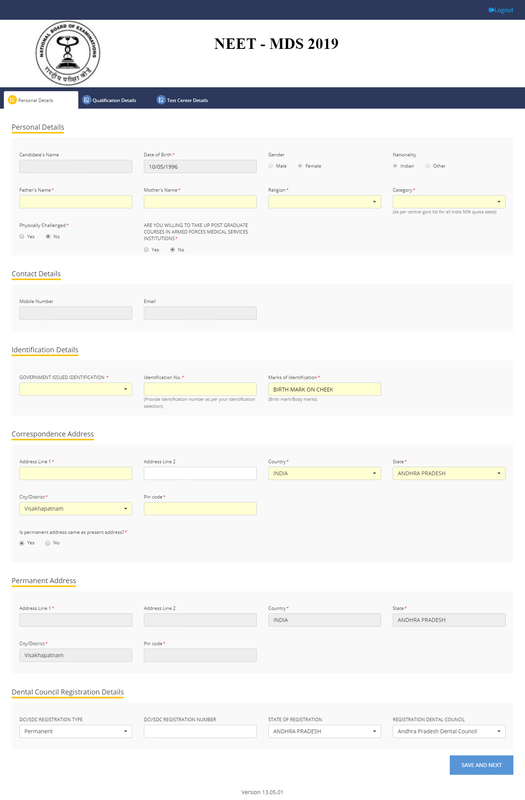 Thereafter the "Go to Application Form" button must be clicked to start entering the details. How to fill the application form of NEET MDS? After entering all the details, candidates must cross-check the entered information and then click on ‘save and proceed’ to move to the next step. 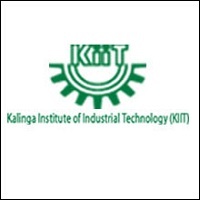 Aspirants were required to select an exam city in which the exam will be conducted. The exam city was to be selected on the basis of preference and convenience of candidates. While selecting the exam city of NEET MDS 2019, students could check the availability of seats in different cities through the option provided on the side. Note: The final selection of exam city will be done after the successfully payment of application fee. Once the prescribed NEET MDS 2019 application form fee will be paid, the final list of exam city will appear on the screen with the availability of seats. Click on the ‘select’ button for confirmation of exam centre. After the selection of exam city, aspirants have to upload the scanned copies of passport size photograph, signature and left-hand thumb impression, as per the specifications mentioned. Check the prescribed specifications for uploading the scanned images from the table below. After uploading of passport size photograph, signature and left-hand thumb impression, a confirmation message will be displayed on the screen. Aspirants need to click all the ‘accept’ button to redirect to the new page. As soon as the exam city is selected, click on the option of online payment of application fee. For successful submission of NEET MDS 2019 application form, it is important to pay the application fee. The application fee can be paid in online mode through credit/debit cards or net banking. 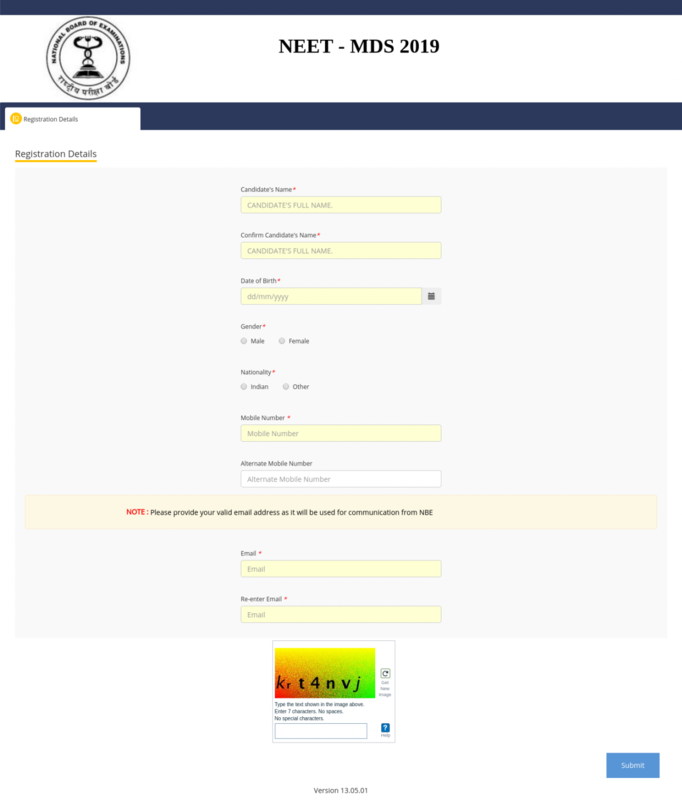 Once the successful payment is done, new page indicating the payment details appears on the screen and the payment receipt is generated. Aspirants can either click on ‘print’ button to get a copy or can ‘proceed’ button for further process. After all the details will be submitted successfully, the NEET MDS 2019 application form will appear on the screen. Candidates must take a printout of the confirmation page for future references. The printout will be used at the time of NEET MDS counseling process. Wish to Change Password? Click on the Change Password and enter the User ID, Old Password as well as the new Password. NBE released the facility of correction window for the candidates to edit/modify/correct some incorrect information. Candidates whose NEET MDS 2019 application form was found with discrepancies or mistakes were intimated within 15 days from the closing of the registration process. Candidates were given a week thereafter to correct their application form of NEET MDS 2019. What cannot be corrected in the NEET MDS application form 2019?